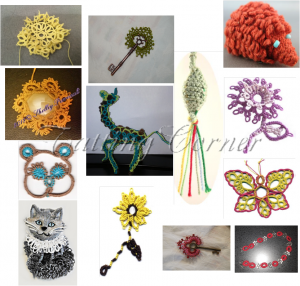 Well, it’s been a while since I had something to write about…so I thought I’d let you in on the teacher list for Tatting Corner Tat Days 2019 – “The Wild Life of Tatting” to be held in Chesterfield, Indiana, from July 11 through 13. 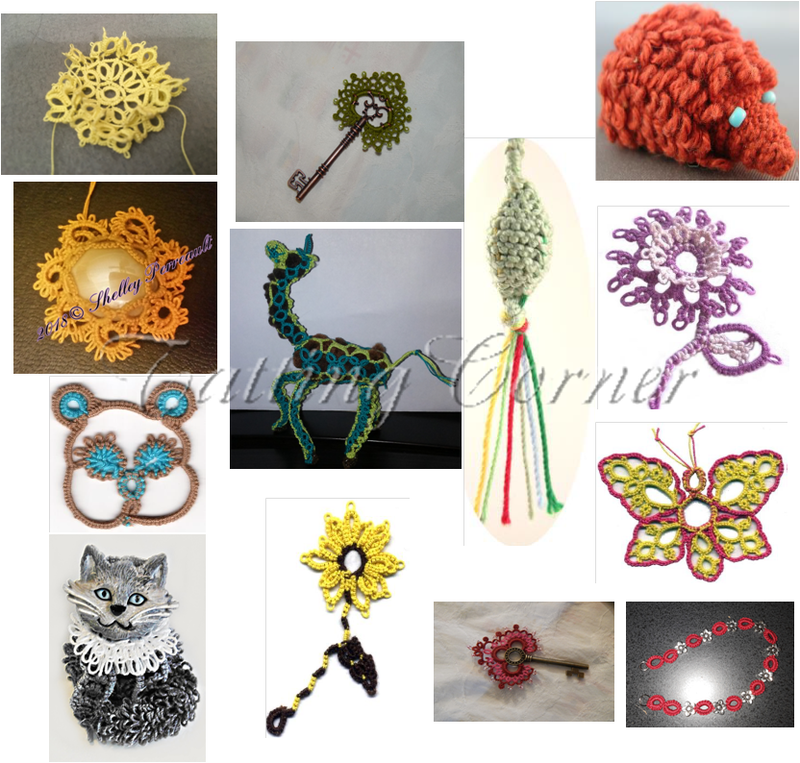 Registration will be opening in mid to late January 2019 and we’ll have three full days of tatting fun! Oh, and you can already make hotel reservations – call the Best Western Plus at 765-649-2500 and mention Tatting Corner to get the $99.99 per night rate (for up to 4 people)! One Christmas, my daughter and I went to see The Nutcracker. She wanted to see it for such a long time, and we finally got to see it that year. It was a magical sight to see the ballerinas dancing across the stage in their beautiful tutus and pointe shoes. 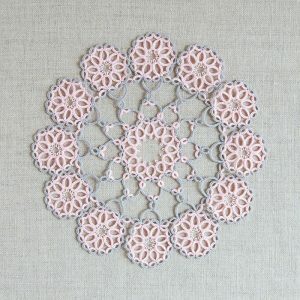 While developing the Serafina motif and doilies, I remembered the colors and textures of Maurice Sendak’s production. 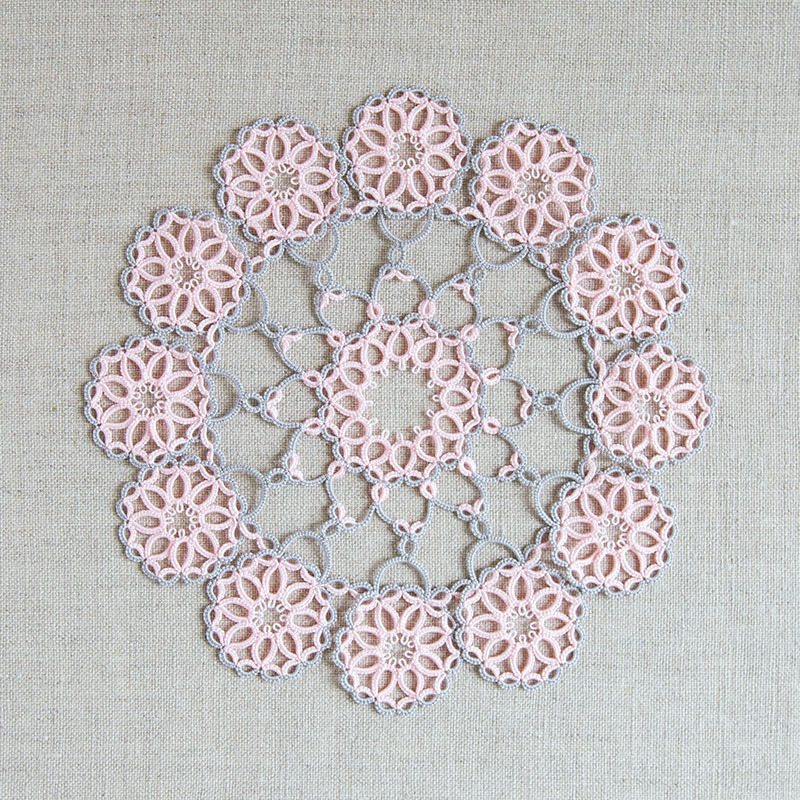 I used two colors (gray and pink) to clearly show the use of the split ring technique, which I chose to use instead of chains to avoid reversing the work. Every time I look at the Serafina motif and doilies, it’s a pleasant reminder of that Christmas.